So the other day I noticed that I did not have anything in my pantry or fridge that seemed to make a complete meal. I bounced back and forth desperately trying to figure out what to make for lunch and finally decided to just go for it. 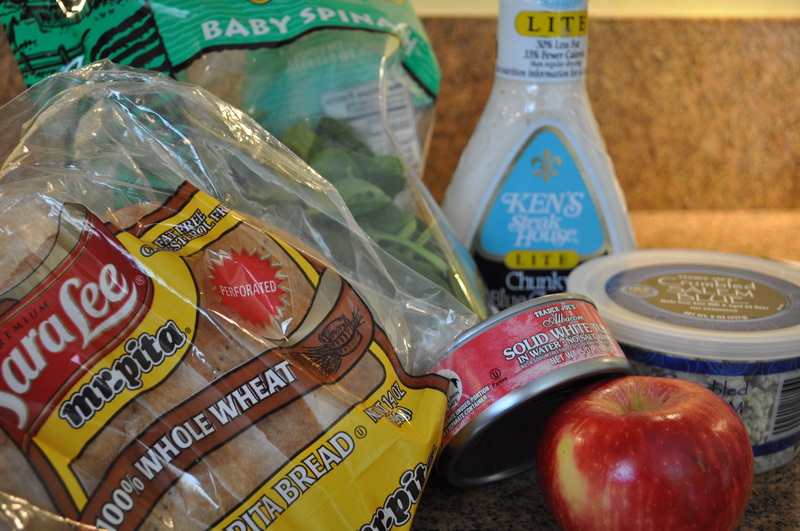 The result…Bleu Tuna Sandwiches! 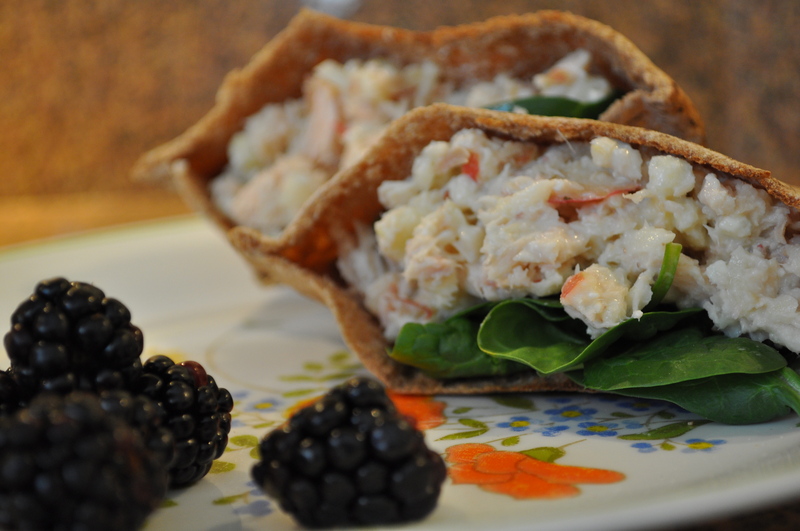 These are super simple to make, healthy, and if my husband liked them, then most anyone will like them. Chop up your apple into little pieces so that it is easy to put into a sandwich. I just purchased the Ninja at Target and I love it! 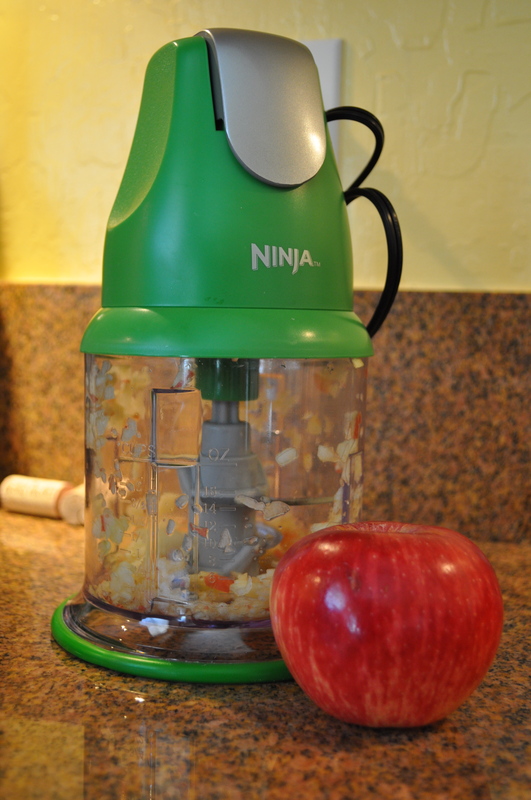 It chopped up my apple into tiny bits in about 5 seconds…yes, I am serious. 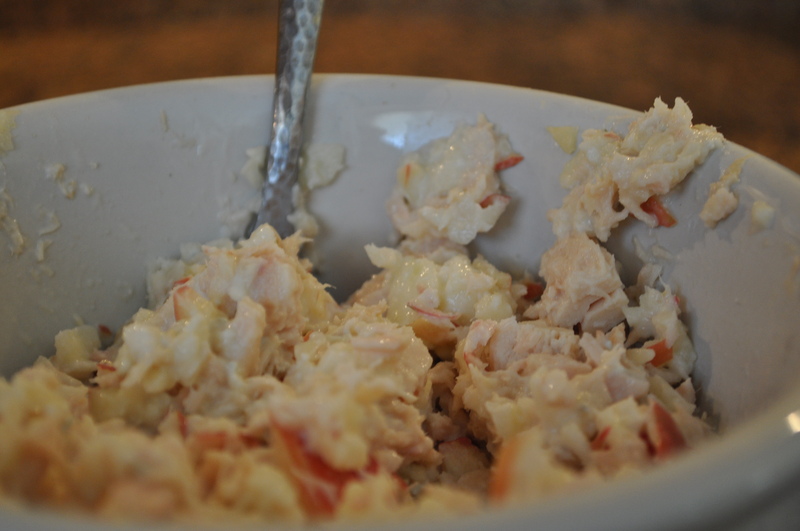 Combine tuna, bleu cheese dressing, bleu cheese crumbles and the apple bits into a bowl. I don’t like my tuna sandwiches to be dripping with dressing, so I only put in about 2 tablespoons of dressing. Toasty pitas are happy pitas. 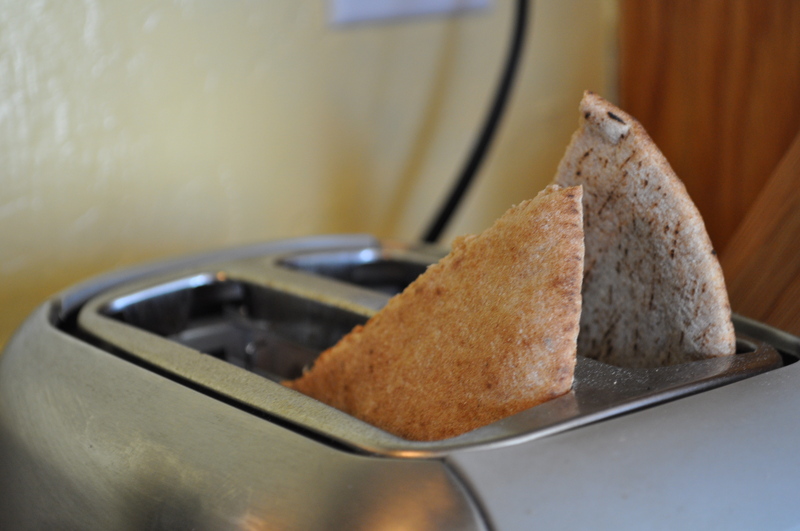 Toast your pitas. I do not have a monstrous toaster so I just deal with the fact that one end of my pita is indeed not toasted, and you know what? I am ok with that. 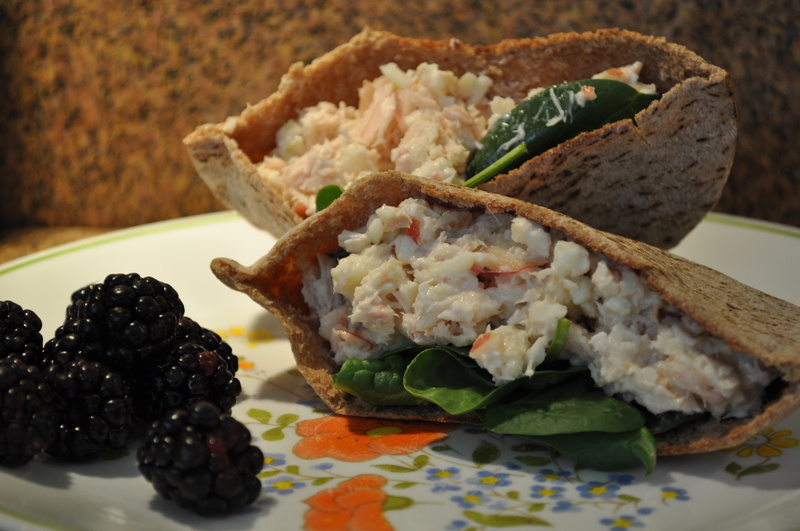 Place baby spinach leaves into your sandwich and then stuff the tuna mixture into the pita as well. That’s it! Hope you enjoy this quick and easy meal! !